I hope you had a lovely weekend. 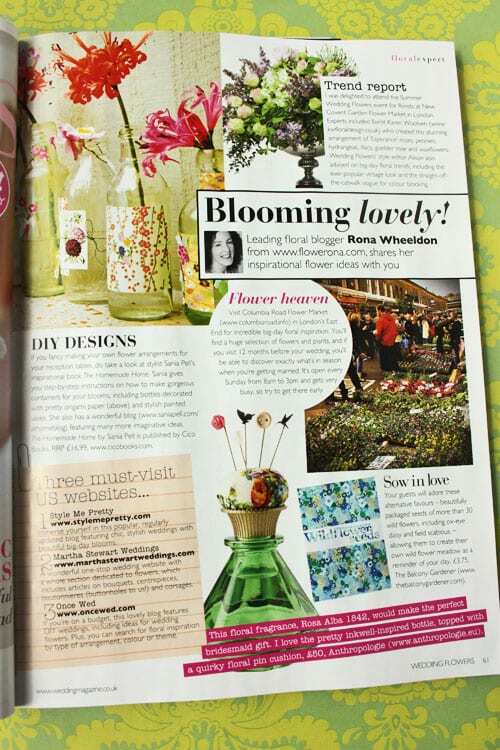 I’m delighted to feature today my column in the new September/October 2011 edition of Wedding Flowers magazine. In this issue, I’m featuring Sania Pell, New Covent Garden Flower Market, The Balcony Gardener, Columbia Road Flower Market, Anthropologie and three US wedding websites. The magazine has some great articles including stunning bouquets and table centres from the UK’s top florists such as Rebel Rebel, Karen Woolven, Mary Jane Vaughan, Euphoric Flowers, Zita Elze and Jamie Aston. Plus there are twenty two pages of inspirational real weddings, a floral masterclass from McQueens and a Trend Report from the RHS Chelsea Flower Show. 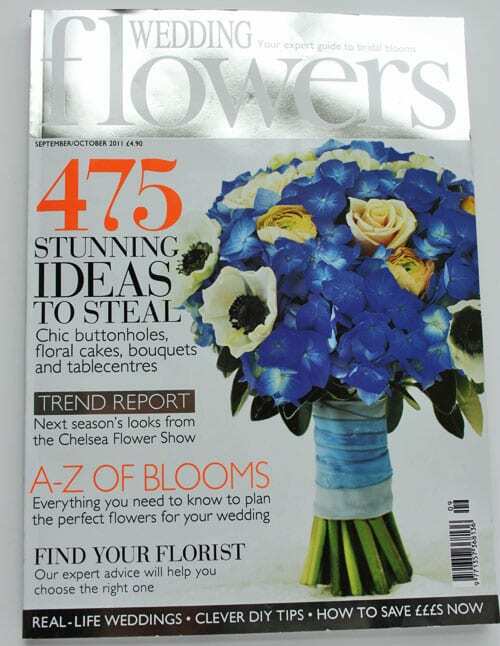 So, if you’re looking for wedding flowers inspiration, why not pick up a copy at your local newsagent? Alternatively, you can subscribe to receive the magazine by post. Congratulation on your column! That is really cool and it looks gorgeous. It’s a shame we can’t get that magazine over here in the US. Have a beautiful day! I have purchased Wedding Flowers magazine at my local Barnes and Noble (the July/August issue) here in Texas. Hope you can grab a copy! Can’t wait for this recent issue…! Hi Rona, it looks fab, thank you so much for featuring my book! I’ll try and pick up a copy as soon as poss.